Article by SARAH CODDINGTON. North Shore Times. 14 December 2010. CHAMPIONS: Martin Tucker, who has spina bifida and Mike Lloyd, who is blind, competed in the New York Marathon. Two disabled North Shore residents have competed in the New York Marathon for the third time. With two million people lining the streets, everything is a buzz and this is why Martin Tucker, who has spina bifida, and Mike Lloyd, who is blind, keep going back to compete with help from Achilles International New Zealand. "The atmosphere is just fantastic. I have developed a bit of a bad habit competing in it," Mr Lloyd says. The foundation helps people with disabilities compete in mainstream sport, and sponsored them to go to the event in the United States. 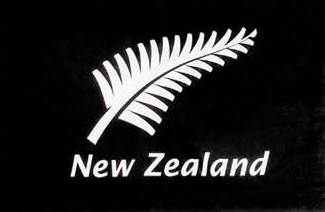 Twelve competitors from New Zealand travelled to the event last month. They were given the International Achilles Chapter Award this year. "It's amazing, you are competing with like-minded people with disabilities. "People are screaming your name as you go past saying "you're the real champions'," Mr Tucker says. Both even got a moment to scoff down some pancakes to keep them going on the 42km walk through the city. Mr Lloyd was one of the first Achilles competitors to complete the race. The trip was also a chance for Kiwis living in New York to see people from back home. An auction of Kiwiana food goodies, including Jaffas, Pineapple Lumps and jars of Marmite helped raise $700 to cater for a celebration meal after the race. Mr Tucker says anyone with a disability should consider competing in some sort of sporting event through Achilles. "Just because you have a disability doesn't mean you need sit around and do nothing, you just need to get out there," he says. 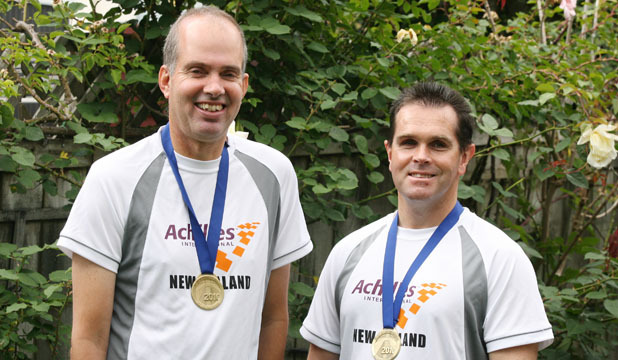 To donate, send a cheque to Achilles Track Club New Zealand at Achilles Track Club, PO Box 251379, Pakuranga, Auckland or call Peter Loft on 524-1534 or 021-355-866.